The most recent edition of the Crime Stoppers television program "Hawaii Island’s Most Wanted" features a man captured on tape by a surveillance camera and two men wanted for warrants and for questioning in connection with burglaries. The new episode begins airing Friday, February 6. In it, police ask for the public’s help in locating an unknown man who was photographed by a surveillance camera at the scene of several car break-ins in Hilo. The thefts occurred on Kukila Street between 8 p.m. on December 18th and 6 a.m. on December 19th. The television program also features 25-year-old Mark Yun Jin McCurley, whose last known address was in Puna. 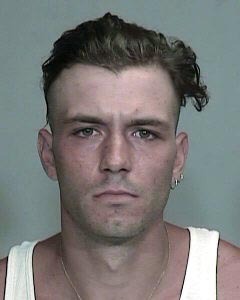 McCurley is wanted for an outstanding warrant and for questioning in connection with a burglary investigation. 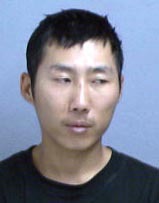 He is described as being of Korean ancestry, 5-foot-7, about 130 pounds with black hair and brown eyes. He has a tattoo of the word "PUNA" on the back of his neck. "Hawaii Island’s Most Wanted" also asks for the public’s help in locating 26-year-old Richard Davis Potter of Keaau, who is wanted on a warrant for criminal contempt of court and for questioning in connection with burglaries in East Hawaii. Potter is described as Caucasian, 5-foot-8, about 140 pounds with blond hair and blue eyes. 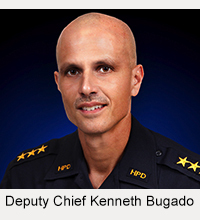 The host of "Hawaii Island’s Most Wanted," Assistant Chief Henry Tavares, asks anyone with information about the wanted or missing persons to call the Police Department’s non-emergency line at 935-3311 or Crime Stoppers at 961-8300 in Hilo and 329-8181 in Kona. All Crime Stoppers calls are kept confidential. Crime Stoppers does not tape record phone calls or subscribe to caller ID. 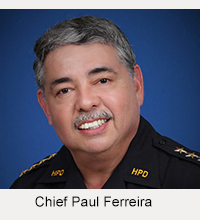 "Hawaii Island’s Most Wanted" is a project of Crime Stoppers Hilo, Inc., which is a partnership of the business community, the media and the police. It was inspired by the national TV show, "America’s Most Wanted."